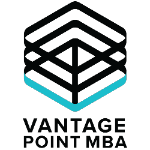 Welcome to the ask Vantage Point MBA Admissions Consulting forum! We're going to change things up in 2018 and will no longer be providing straight profile reviews on this forum. We believe that your competitiveness at different schools relies on more than just a few stats or data points and so, a conversation is a much better way to provide that feedback and help you think through your strengths and development areas. We offer a free 30-minute consultation for that reason. Instead, this forum will now serve to answer your most specific and burning questions about the MBA application process and your profile. We believe this approach will enable you to best leverage our expert team and also inform others who are reading these posts. That way, everyone benefits. We look forward hearing what's on your mind! So who are we and what do we do when we aren’t answering your questions on this GMAT Club forum? We are not the sales team – we are the founders of this company and we answer all of your questions directly. Like our entire team, we are M7 graduates with years of experience guiding applicants to develop their strongest applications. We’ve been in your shoes. We know what it’s like to upend your life and take one of the biggest steps you’ll ever make in your career. That’s why we built Vantage Point, the only firm to take a 360° approach to the application process. We provide the perspectives that matter on your MBA applications from experienced consultants who graduated from M7 programs, M7 alumni interviewers, and former adcom. By providing you firsthand insights from people who understand the process from the inside out, we help you develop your most competitive and differentiated applications possible, maximizing your chances of admission to the most selective MBA programs. Vantage Point – gain from our perspective! We Have Combined the Best Aspects of Admissions Consulting into One Service! Highly Personalized Consider us your "on call“ advisors throughout the process. We view your success as our success and we are there to support you through it all! Customized Templates don’t get you into the most selective programs. No matter where you are in your MBA application journey, we'll help you develop a strategy that sets you apart. Value-Added Toolkit & Insights In addition to best-in-class tools, we provide access to not only your dedicated consultant but also former admissions committee members from top 10 schools, current students at the top schools, and post-MBA industry partners across leading firms such as Google, McKinsey, Amazon, Goldman Sachs, successful start-ups, and more. Transparent Many of us used consultants ourselves when we were applying. We understand what questions you may have and will ensure that you know exactly what to expect with us. Refund Policy We work with clients who we believe in - and we believe in our process. Our consultants are incentivized to help you get into the very best schools possible but if it doesn't work out, we will refund 25% on a four school package or greater. We offer this because we are quite sure you won’t need it! For more information please visit Vantage Point’s website, including our blog that is updated regularly with the latest news and advice on all things MBA. Thanks for reaching out! I'm sorry to hear about the outcome of your GMAT. Unfortunately, we really don't have experience working with applicants with GMAT scores below 600 (we focus on advising applicants to the top 20 programs in the US and Europe) so I'm afraid we can't be of much help to you. I know that some online MBA programs offer GMAT waivers, which could be a good option for you, but I would suggest doing some more research on those schools to see if they would be a good fit for your goals. I'm sorry we couldn't help further! Best of luck to you! I need to know what all schools I can expect a call from with a GMAT score of 740. Work experince none. Graduated last year but didn’t join company as I had plans for other competitive exams. But this year I am thinking to give GMAT. My doubt is should I take a job and prepare along with it for cv points. Or should I solely prepare for GMAT and cat exam. And what will be my chances in both cases if I get little less marks with my job. We focus primarily on the top MBA programs in the US and Europe (so I can only speak for those programs) and those programs typically look for at least 2 years of work experience prior to applying, with the top schools averaging 4-5 years. My advice to you would be to find employment and get some experience under your belt for the next few years and then look into applying. Thanks for reaching out and sharing the details of your profile! I'm happy to provide some high level answers to your questions although most of these don't have a straight-forward answer and would likely require a more in-depth conversation. As with most things related to MBA application process, it's a bit subjective! 2. MBA graduates pursue a wide variety of roles in e-Commerce (from finance to supply chain/operations to product management, etc.) so I would ask you what it is that you want to do in that industry? 3. The Product Manager role differs greatly from company-to-company so it depends. If you're interested in a specific company, I would suggest looking up the job description for the post-MBA role that interests you and reading through the prerequisites. I hope that helps give you a starting point in your research. Best of luck! 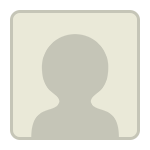 Could you please evaluate my profile for Michigan Ross? Thanks for reaching out! We sold out early for round 1 this year and have been busy getting our clients through the deadlines. But I'm happy to be catching up today on some of the great questions in our forum. However, we actually are no longer providing straight profile reviews on this forum. We believe that your competitiveness at different schools relies on more than just a few stats or data points and so, a conversation is a much better way to provide that feedback and help you approach the application process. However, we'd LOVE to answer any specific questions or concerns you have about your profile or the MBA application process in general. So please feel free to respond with some more pointed questions! Hi guys! I thought you might like our latest blog piece on how to avoid common application pitfalls. This is a summary of some of the issues we saw while conducting "ding analysis" this year for people who came to us asking for a review of what went wrong. For this year's admission, will I be able to get an interview call from LBS for full-time MiF this year ? Thanks for sharing the details of your situation. Unfortunately, we don't advise on Masters in Finance programs as our expertise is in MBA program admission only. I'm sorry we can't provide more insight! We wish you all the best.